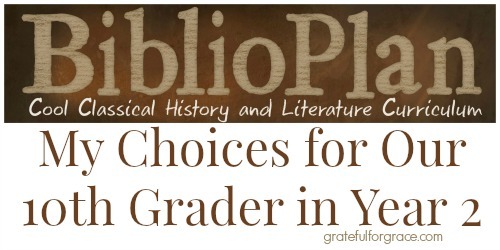 I switched to BiblioPlan for our family history and literature curriculum a few years ago. We are doing Medieval, year two, this school year. We are loving it. I have shared several aspects of how I utilize BiblioPlan. I promised (months ago, ahem…) to share our actual high school choices for this year. So… here ya go, this is what Noah gets to read this year. With commentary as to why I chose it. Just for kicks. Make sure you read the full post with more explanations about choosing and planning for high school. It’s the teacher version. This is the mom version. Together, these two posts make the homeschooling mom version. Quo Vadis This just sounded great. Interesting. Battles. And it has a movie he can watch later. And it was free on Kindle. The Confessions Augustine is formative in Christian history so I wanted Noah to read this. It would be a challenge, but good experience. It was free on Kindle too. This selection met my desire for history, church history, and challenging reading. He will thank me later. Maybe much later, but still. The Song of Roland A classic that he wouldn’t read on his own. Definitely challenging though. It will be a stretch for him. Canterbury Tales A classic that has all kinds of interesting characters. This book is a cultural reference I wanted him to know. And it’s great writing. I think he will like this one lots. 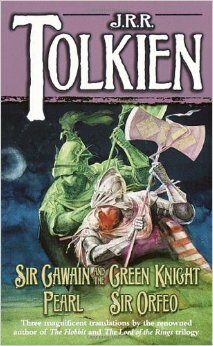 Sir Gwain and the Green Knight Sounded adventurous and fun for a boy. I think he will enjoy this take on tales of King Arthur from a different perspective. I originally bought the new verse translation, but then I found our Tolkien has a version. I got that instead since Noah is a Tolkien fan. Divine Comedy Challenging reading. Cultural icon in educated circles. Fascinating dialogue. I think this will be another challenge, but he will enjoy the writing. I have never forgotten this piece. I will enjoy discussing aspects of this with my son. Henry V Man, I love Shakespeare. Seriously I admit that I like to see his work on stage more than I like to read it, though. Chose this because my high schooler is a boy. And because we can watch the movie later and I can’t wait for the St. Crispin’s Day Speech which is epic. Noah loves it and I’d like him to read the entire work. Travels of Marco Polo I chose this because it was something I didn’t think he’d read on his own and it presents a biography of a influential man from his point of view. The copy I chose may be difficult. It was $1.99 on Kindle. MacBeth Wanted lots of Shakespeare, but had to include other works this year, daggnabbit. I had to narrow it down to two of The Bard’s. MacBeth is one of my favorites, so I wanted that connection with Noah. I think he’ll love it. He hasn’t seen the movie before so the story is new to him as opposed to Hamlet, which he has seen. I bought the 99cent Kindle version. Heroes of the Reformation This piece was unusual and seemed a bit more light in writing style, but would present some great biographies from a time period/historical event of which I am very fond. Spurgeon highly recommended this book, so it was in. Here I Stand I chose this beause I love me some Luther. Seriously. That line! Oh! It gets me. Noah has read Luther already as a middle schooler, so this was a good upgrade. Leonardo’s Notebook This sounded interesting and unique. Leonardo is one fascinating guy to study and I wanted Noah to read about him. I thought a unique book might be fun. I may have bit off more than Noah can chew with this one. How They Kept the Faith This looked a ligther read to place before two challenging selections, but still interesting and informative. I love reading about the Huguenots and I hope Noah does too. I also hope this book isn’t too “girly” for him. We shall see. Protestant Reformation Major Documents I want to include original documents when I can and when I think my kiddo can handle them. 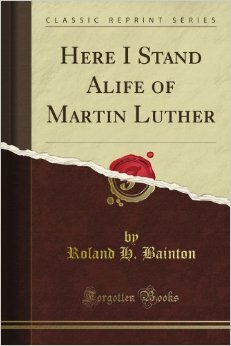 I am a huge fan of the Reformation, so I chose this. He probably won’t love this literature choice to pieces, but it’s not about that. It’s about history and challenging his mind. The British Josiah This looked like a book I’d like to read about a man I know nothing about really. When a king is described as the “godly king of England”, who doesn’t want to learn that? Only Glory Awaits Again, a book I would read. And a Reformation martyr. Gotta read. Ligther book before he reads…. The Writings of John Calvin (parts 1, 2, 3 and 8) We have Calvnist leanings, theologically (for those interested, I’m a 4 pointer), so I wanted him to read some Calvin. No way was I going to ask him to read Institutes, so this was a good option. And I already owned this book. So, those are my choices and personal reasons for making them, within my previously stated guidelines (post on choosing for high school). Noah is a tenth grader this year. This is a lot. My plan is to give him credit for honors English because of the literature load. I always reserve the right to edit my selections as necessary. I will also take notes on the books for future years of planning (aka: if he hates it, I’ll find out why). How many of these choices have you read?